Posts / Am I washing my Brother's Feet? Am I washing my Brother's Feet? Am I Washing My Brother’s Feet? I pray that many blessings from Almighty God along with the prayers of our Holy Founders will accompany you throughout the year. Let me begin by saying that, from my end, so much has happened this past month. My apologies for being remiss in greeting the January celebrants for their birthdays and special anniversaries, for I was away and did not have our directory in my possession when I wrote my last message. Therefore, this February message of LACARTA includes my well-wishes and greetings for both our January and February Celebrants. Our creative accompaniment seminar held at our house of Sant’Angelo in Pescheria proved to be a week both enriching and eye-opening for those who participated. We discussed so many areas pertaining to our religious life that need to be strengthened. To continue this process, a presentation is being put together and will be published by our respective Delegate Superiors and Council Fathers. They will be consulting with each of you so as to foster your fuller participation in this exciting and demanding initiative. I pray that we continue this great effort to walk together and aim for encountering Christ more profoundly in our communities. All of this is being done so that we may better serve one another. I am inspired to ask you this question: “Are you willing to wash your brother’s feet”? 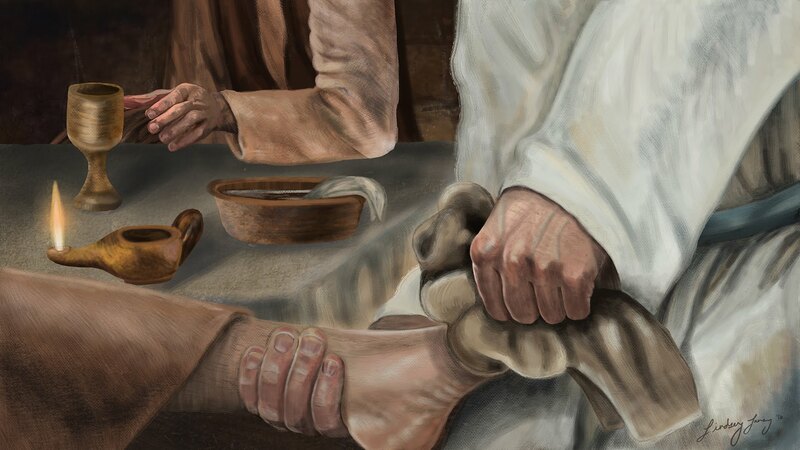 It is most pleasing that most of our communities that I have visited are striving to live this spirit of service, each one washing his brother’s feet. What does this mean for all of us? This same question I pose to those applicants and aspirants in our seminaries, “Why do you want to enter our religious family of the CRM?”. They most often respond, “I want to celebrate the Mass, preach the Gospel and serve the people of God.” This response, plausible and valid, soon becomes the common understanding of our young seminarians. Obviously, this is not bad in itself; however, a vocation to consecrated life needs to be deeper and grow in maturity. In a word, the good service that we render to the faithful in living and proclaiming the Good News must be rooted in the quality and ongoing practice of our communal and shared religious life. If such service to our people is to be effective and appreciated, it is because it has been lived and shared with our very own community which we are part of; otherwise we are at peril of living in a state of artificiality. The depth of our service to the people is truly a reflection of our community life. There cannot be a chasm between the work we do and our community life. This starts with the transformation of our hearts. It is fundamental that we strive to be better and do more within the context of our community life by attending to the needs of our respective communities in whatever form or manner these present themselves to us. It is of little merit at the end of the day to “appear saintly in the eyes of the faithful” when we lack care for our Brothers in the community. May the Blessed Mother of our Lord, in this month of the commemoration of her apparitions at Lourdes, remain with us and bring us, our Brothers in community, and the people whom we serve, closer to Jesus daily. Categories : Uncategorized Tags : Washing of the Feet!